Welcome to the Historic Black Hawk Hotel. The Black Hawk Hotel is committed to presenting its guests with an unconventional and unforgettable experience. Visitors can relax among the worldly treasures that distinguish the hotel — beautiful things past and present — or head out to explore our historic downtown. Cedar Falls is a place of history, education, arts, and design. It is a town with a rich and interesting past (and future). Explore the universities, cultural institutions, shops, and restaurants that make our town one of the most intriguing urban destinations in the Midwest. The hotel features 43 thoughtfully-curated guest rooms and suites that offer a balance between historic charm and modern amenities. Dive into the rich culture of Cedar Falls and be sure to check back for the Black Hawk’s gift shop and café opening soon. Live like a local when staying at the Black Hawk Hotel. Let our concierge help you plan an unforgettable stay in Cedar Falls. The Black Hawk Hotel is a bespoke 43-room locally-owned boutique hotel located in the heart of downtown Cedar Falls. 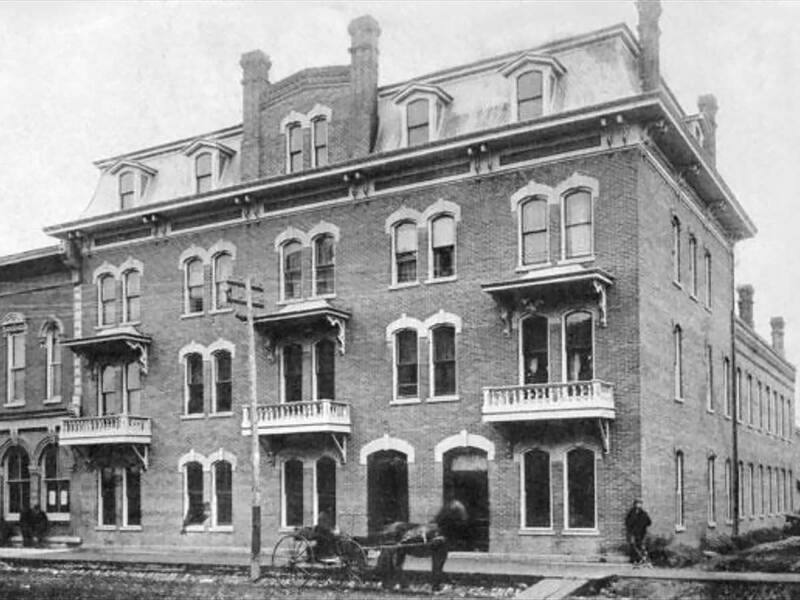 The Black Hawk Hotel has a rich history beginning with the founding of Cedar Falls and is now the longest continually operated hotel in the country with our story beginning in the early 1850s.